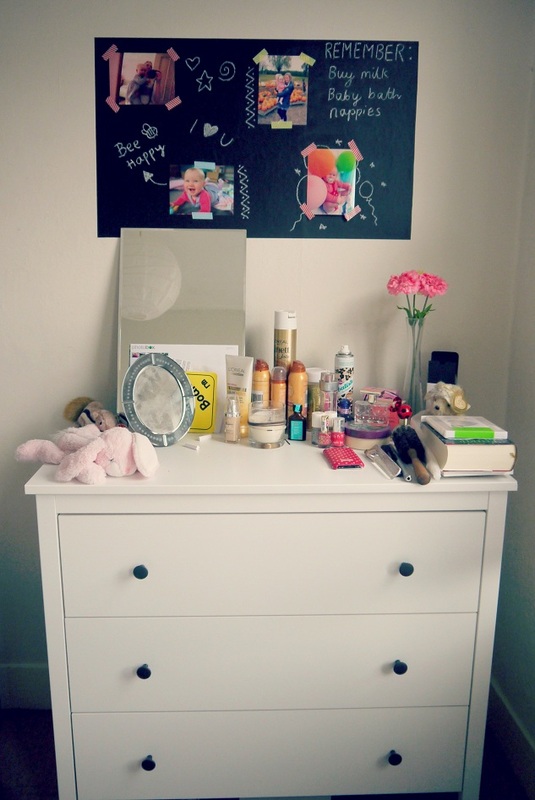 I love chalk boards so naturally I had to have one above the chest of drawers. 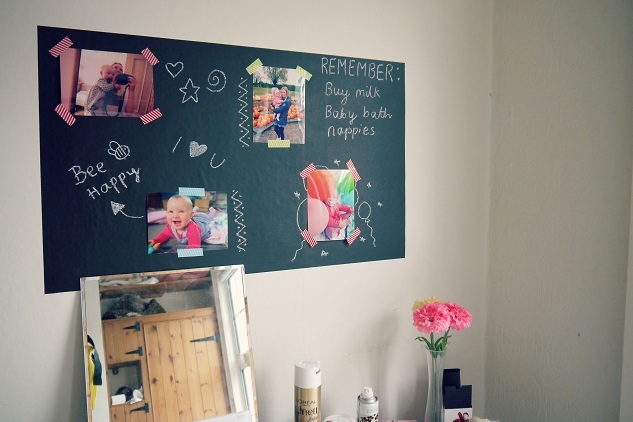 Little notes and pictures and reminders look so much more appealing when written in chalk. 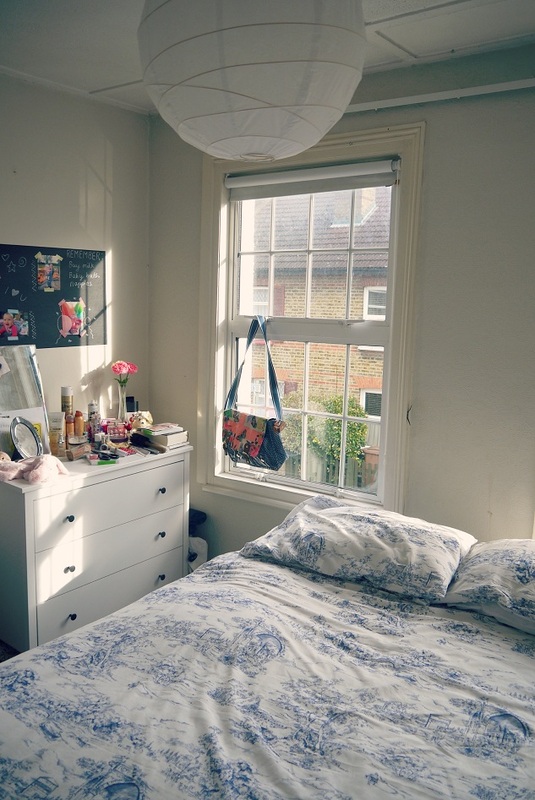 I wont show you the other side of the bedroom as that's Dave's side, so naturally it's a complete tip! But these oak wardrobes are pretty much the focus. I will show you Alice's nursery and the kitchen as soon as they are finished. I stupidly got the wrong sized door knobs for Alice's dresser so I need to seek out some more! And you know what kitchens are like when you've just moved in somewhere new. We have no food and it's full of washing up still. When we get in the swing of things and I have more food up on the shelves, I will snap away! What do you think of the cottage so far? Love it! I think the duvet cover is gorgeous, I love blue and white!! I love your room, too! It's bright and cheerful and oh so lovely. Moving into a new home is such an exciting but chaotic time. I look forward to seeing the rest as it comes together! 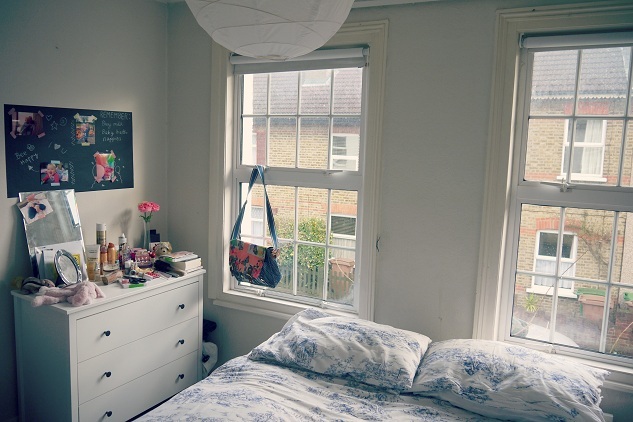 LOVE your room, looks amazemalls! the chalkboard is a great idea, and the light fixture, LOVE IT! 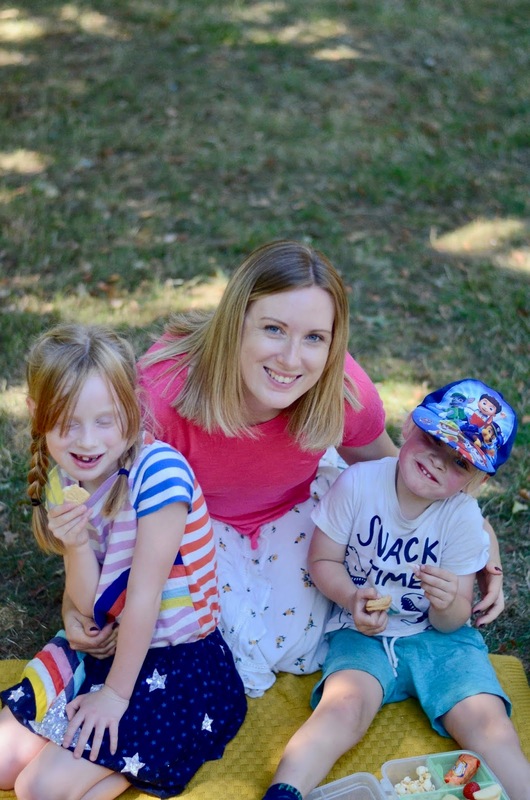 - stopping by from the Wednesday blog hop!